Replacement top for 10x20 canopy with 1-3/8" frame. 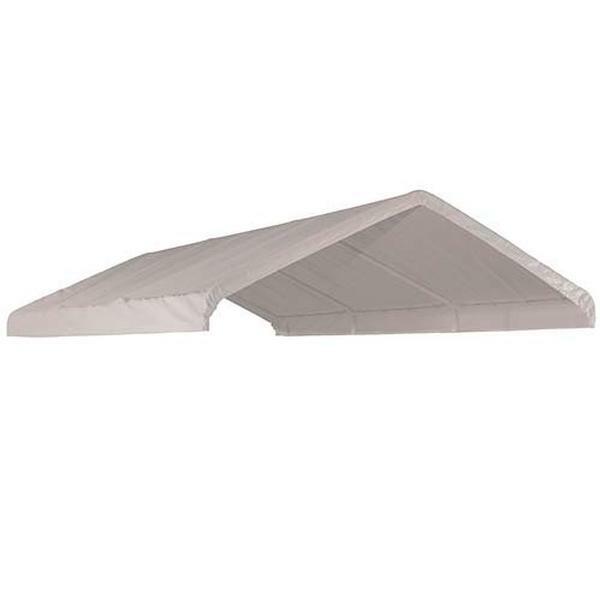 This model matches the Harbor Freight HFT 10x20 canopy top Top is made of a triple layer, rip-stop, UV-Treated, Waterproof, Polyethylene Fabric Cover. Ships via UPS in a single box. Frame, anchors, and bungee balls sold separate. Triple layer 100% waterproof UV woven polyethylene fabric cover.